The news came in an email Equifax is sending to people who took the company up on its offer for one year of free credit monitoring through its TrustedID Premier service. Equifax says it will share the name, address, date of birth, Social Security number and self-provided phone number and email address with Experian for anyone who signed up for its original TrustedID Premier offering. That is, unless those folks affirmatively opt-out of having that information transferred from Equifax to Experian. But not to worry, Equifax says: Experian already has most of this data. Even though people who don’t opt-out of the new IDnotify offer will have their contact information automatically shared with Experian, TrustedID Premier users must still affirmatively enroll in the new program before then end of January 2019 — the date the TrustedID product expires. Equifax’s FAQ on the changes is available here. Talk about the blind leading the blind. It appears that in order to opt-out of the information sharing or enroll in the new Experian program, people will need to click a customized link in the email that Equifax is sending to TrustedID enrollees. I’m not aware of another method for opting our or signing up, but I’ve asked Equifax for clarification on that point. Consumers who don’t want Equifax sharing their phone number and email address with Experian need to opt-out by clicking a link in an email. Fundamentally, I see no problem with people using these credit monitoring services as long as they are free. 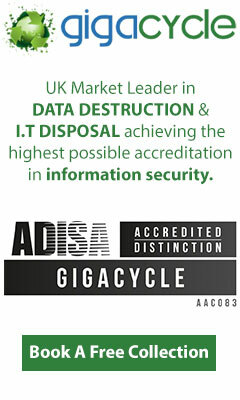 Credit monitoring services can be useful in helping consumers dig themselves out of the mess caused by identity theft. The chief danger I see in relying on credit monitoring services to stop identity theft, however, is that these services traditionally have been very good at doing that. As I’ve written ad nauseum, credit monitoring services are more useful at detecting *when* someone opens a new line of credit in your name. What this means is that while they might let you know when someone has stolen your identity, they’re not likely to prevent that from occurring in the first place. The best mechanism for preventing identity thieves from creating and abusing new accounts in your name is to freeze your credit file with Experian, Equifax and TransUnion. This process is now free for all Americans, and simply blocks potential creditors from viewing your credit file. Since very few creditors are willing to grant new lines of credit without being able to determine how risky it is to do so, freezing your credit file with the Big Three is a great way to stop all sorts of ID theft shenanigans. I explain in much greater detail how to freeze your files and what’s involved with that in this post from September. 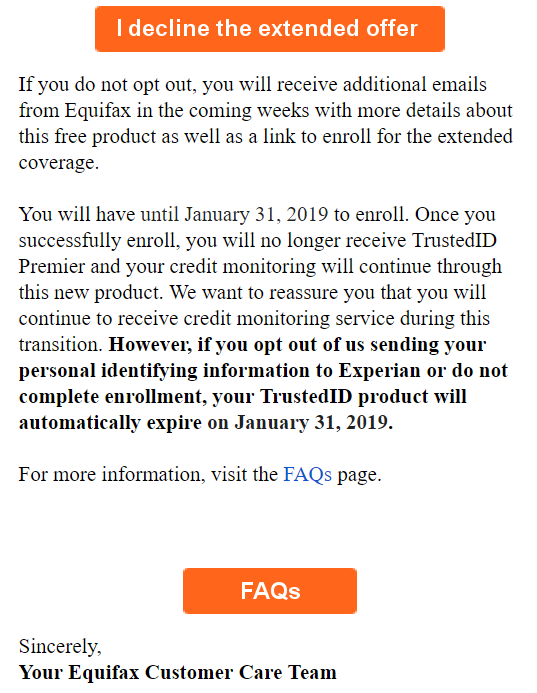 Please note that if you haven’t yet frozen your credit and you’d like to take advantage of this offer from Equifax/Experian, it’s a good idea to enroll in the IDnotify first, as it’s often not possible to enroll in credit monitoring services *after* you’ve frozen your credit. That said, Equifax’s FAQ suggests this might not be the case, noting that if your Equifax credit report is frozen, the security freeze will stay in place for people who enroll in the new program. I imagine this arrangement should help the credit bureaus steer more people away away from freezing their and toward their respective “credit lock” services, which the bureaus have marketed as just as good as a credit freeze but also easier to use. All three big bureaus tout their credit lock services as an easier and faster alternative to freezes — mainly because these alternatives aren’t as disruptive to their bottom lines. According to a recent post by CreditKarma.com, consumers can use these services to quickly lock or unlock access to credit inquiries, although some bureaus can take up to 48 hours. In contrast, they can take up to five business days to act on a freeze request, although in my experience the automated freeze process via the bureaus’ freeze sites has been more or less instantaneous (assuming the request actually goes through). Did you receive this offer from Equifax/Experian? Are you planning to opt out or enroll? Sound off in the comments below. This entry was posted on Thursday, November 1st, 2018 at 12:47 pm	and is filed under A Little Sunshine, Data Breaches.